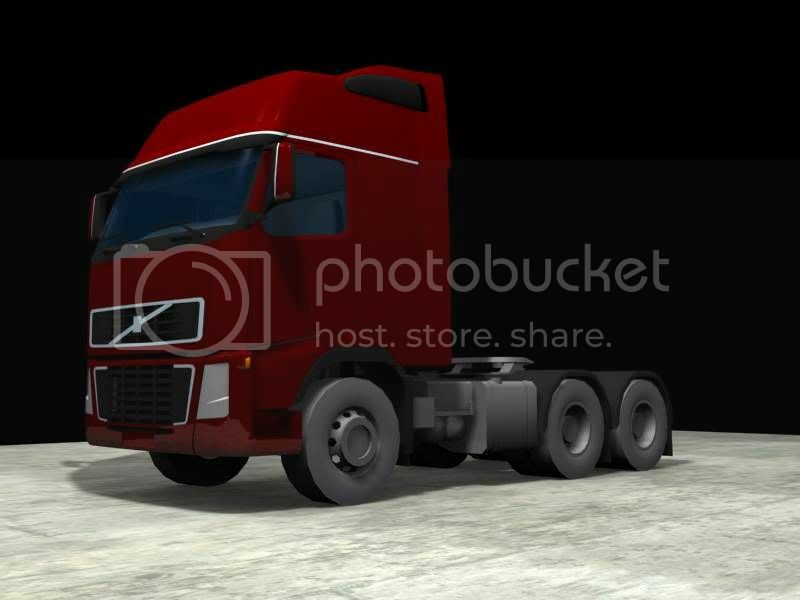 I'm currently making a Volvo FH16 truck. I think it's about time something like this was made for ArmA II. 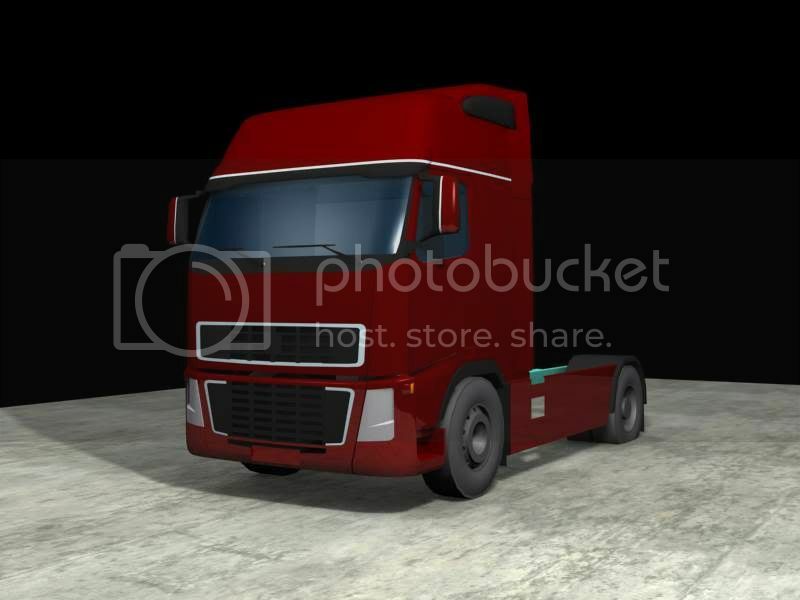 I'm trying to make this truck as fast as possible within four months to BIS's standards and release it, but unfortunatley I don't have any good references cause I live in the only country that doesn't have FH16s so I would appreciate it if someone can get some good reference photos of this truck. Thanks. looks quite impressive will this also have a trailer thats functional? Id be amazed if it was functional. Ive been told its not possible to have the articulated bit in the arma engine. Although, perserverance is the mother of all god like creations! It's been done before. 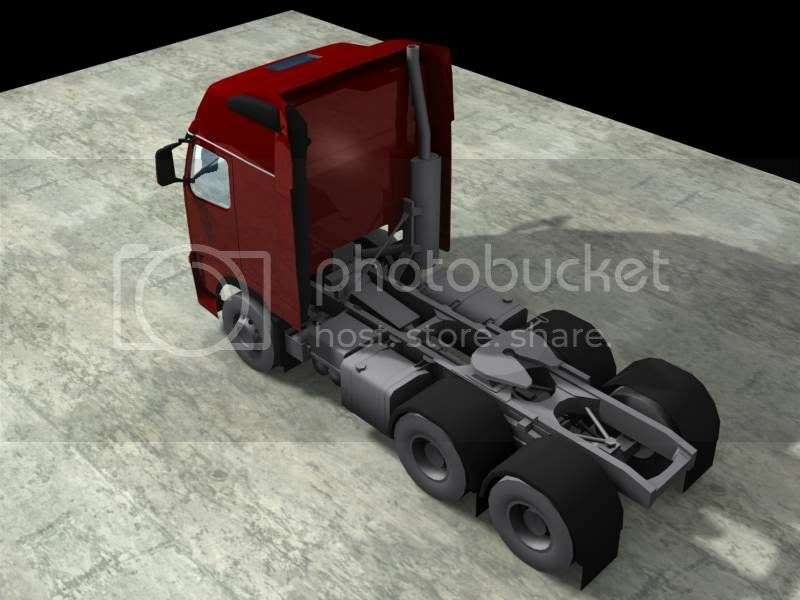 If you were around for OFP I released an American 18 wheeler with functional trailer. There was a little glitch, however I firmly believe that with the ability of experienced scripters for the ArmA II engine a perfect working trailer is possible. But I won't ever get around to that unless I get references so I can make it. Awesome, I love the big rig in the Sigma vehicles pack. I really hope you consider making a trailer that can attachTo and be towed behind your truck. You can always try asking in the Addon Research Topic, or browsing the resources in there. Check out the first post in the thread for the biki page with a collection of resource links. I would make a working european trailer for it, but I'm lucky if one person has even offered to photograph the truck for me. Scania R400 I can do. FH16? Sorry. They are pretty rare here. What do you need images of? I might not be a big help, but I can try. Any current generation FH16 will work. It can be a double axle or a triple axle, air ride or leaf spring, but I prefer a triple axle, air ride chassis. I need alot of detailed pictures of the chassis including the wheels and the areas that connect the cab to the chassis. so I have been reading and searching web for pics 4 ya its hard but I found this mod someone has made for some random game looks almost alike as to yours. You can sorta see the back of the truck. I mean, they are pretty rare, I've not actually seen one outside of a Volvo T&B site here in the UK in ages. Even the Swedish Army don't use them and the thing is built in Sweden. If you're going for something with a more civilian feel to it, but still in theatre, a Mercedes Benz would be much more common. Can probs get you shed loads of pics of RAF 2MT Sqn for you, if you want? I don't really know alot about rigs outside of America, but I do like the styling of the FH16 & 12. Scanias look like ugly lego blocks but the Mercedes isn't too bad looking. Something tells me FH16s are overpriced but if people can confirm that FH12s are more common then I'll switch to that since they are just about the same. If not I'll consider making the Mercedes Actos. @Jungle. Can you get a quick picture of the chassis in general, just so I may compare references to see if I could possibly use that truck as a reference? I'll sort them for you next week after the weekend bud. Progress has been slow due to many reasons, but I've manage to source reliable documents from undisclosed sources that has helped me alot. I am very serious about completeing this addon for public release and making a functional trailer for it. I do need some help with some config file stuff but it's very basic and it will speed up progress alot. Seriously, it looks amazing. How long did it take? That's really nice, Delta. You're doing well with limited resources. fifth wheel needs moving back a meter or so. I spent half the time looking for good blueprints but so far three weeks. The blueprints say that's where the fifth wheel is. The difference between the fh12 and fh16 is engine size apparently. The 12 has a 12 liter and the 16 a 16 liter. I'm gonna try to model alittle bit more but more pics coming soon! The fifth wheel is adjustable in real life. That may be where Volvo put it when the build the thing but everyone moves it much further back. 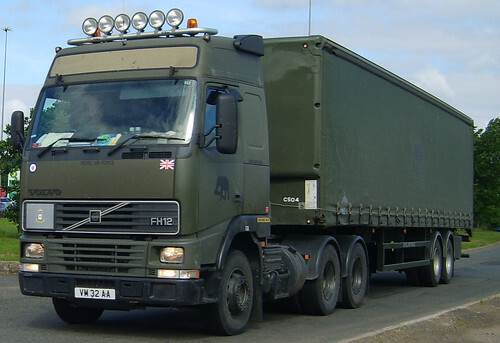 Here's a 2004 FH12. As you can see, the fifth wheel is between the two rear axles. That's much more usual. Just to confuse matters though you can get the 16 with an 360 BHP engine and a 12 with 440 BHP. Are you looking for any particular pictures?